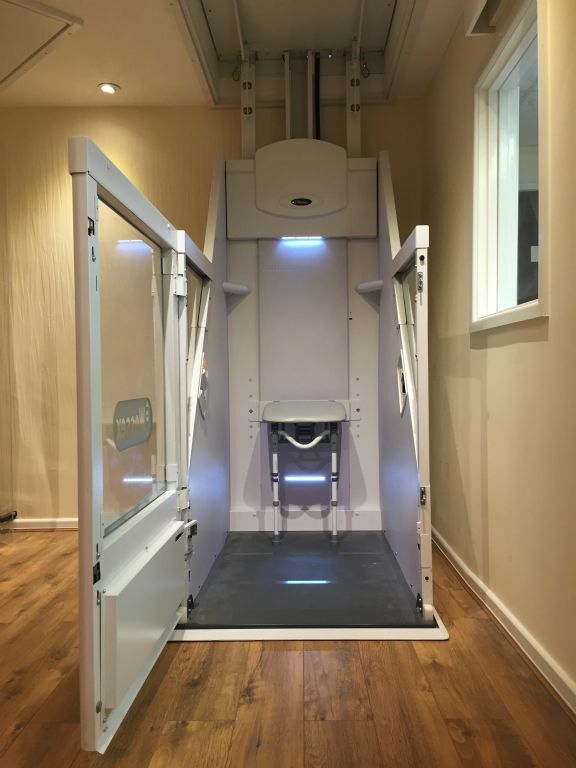 Wessex Home Lifts are available in various platform sizes and can be fitted with a fold down seat. They can also be used by people sat in their own wheelchair. The Wessex VM Home Lift is available in six configurations to suit a wide range of applications. In common with other domestic wheelchair lifts, free standing tracks eliminate the need for a load bearing wall increasing the number of locations which can accommodate a Home Lift. The VM Home Lift is available in various cabin sizes and different travel heights. Our lift adviser will visit you in your home to discuss your requirements.